SPECTRA is a graduate student-run, peer reviewed scholarly journal hosted at Virginia Tech. The journal features interdisciplinary work and provides an academic forum to explore controversial topics and take intellectual risks. Its aim is to highlight the power of interdisciplinary work and provide a platform for scholars to work across disciplines and experiment methodologically. SPECTRA accepts scholarly submissions from graduate-students, early career professionals, and established thinkers. SPECTRA welcomes critically oriented articles, book reviews, film and popular culture reviews, artwork, and interviews. We encourage submissions from the humanities, and social sciences advancing theoretical work. 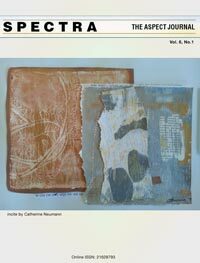 SPECTRA publishes bi-annually. Please see the current call for papers for details regarding how to submit. The journal will, on occasion solicit submissions for thematically focused special issues.